Perchance to dream! 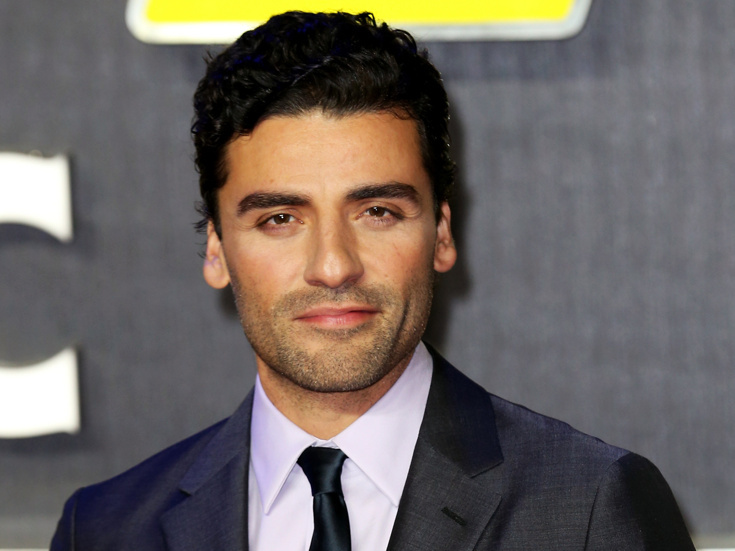 The rumors were true and Star Wars heartthrob Oscar Isaac will play the title role in Hamlet staged by Sam Gold at Brooklyn‘s Polonsky Shakespeare Center this summer. The pair last worked together on Zoe Kazan's We Live Here in 2011; Hamlet is their first collaboration on Shakespeare and their first production with Theatre for a New Audience. The production will play a limited engagement June 4 through July 30, officially opening on June 22. We’re so ready to have the time of our lives (again!). Katey Sagal (Sons of Anarchy) has been tapped to join ABC’s remake of Dirty Dancing as cougar Vivian Pressman. According to Deadline, production on the TV event, which will be directed by Wayne Blair and choreographed by Hamilton and Cats’ Andy Blankenbuehler, is scheduled to begin this week in North Carolina. As previously reported, the cast is also set to include Debra Messing, Colt Prattes, Abigail Breslin, Sarah Hyland, Nicole Scherzinger, Trevor Einhorn, Beau “Casper” Smart and Billy Dee Williams. Frankie Michaels, who was honored with a Tony award aged 10 for his role of Patrick Dennis in the original cast of Mame, has died aged 60. The Connecticut Post reports that he passed away on March 30 at his home in Chittenango, N.Y. Michaels is the youngest male performer to ever win a Tony; he his survived by his son, Michael Lloyd Chernesky, a sister Felicia Hreschak, companion Lucille Bort and close friend Steven Clark. Hmm. We're keeping a close eye on this new musical—the team attached is simply stellar. After receiving a developmental staging at Goodspeed last year, My Paris, starring Broadway favorites Mara Davi and Bobby Steggert, has just gone into rehearsal for a run at Long Wharf Theatre May 4 through May 29. Directed by Tony winner Kathleen Marshall, the tuner features music and lyrics by Charles Aznavour (the "French Frank Sinatra"), book by Tony and Oscar winner Alfred Uhry and English lyrics and musical adaptation by Tony winner Jason Robert Brown. My Paris follows the life and times of Henri de Toulouse-Lautrec, the artist who captured the gaiety, color and heartbreak of Montmartre, Le Can-Can and the world of Le Moulin Rouge. First day of school for "My Paris" at @longwharftheatre So ready to head back to Montmartre! P.S. A new trailer is out for the HBO screen adaptation of the Tony-winning All the Way, with Bryan Cranston reprising his Tony-winning performance as as Lyndon B. Johnson. The movie will premiere on May 21.